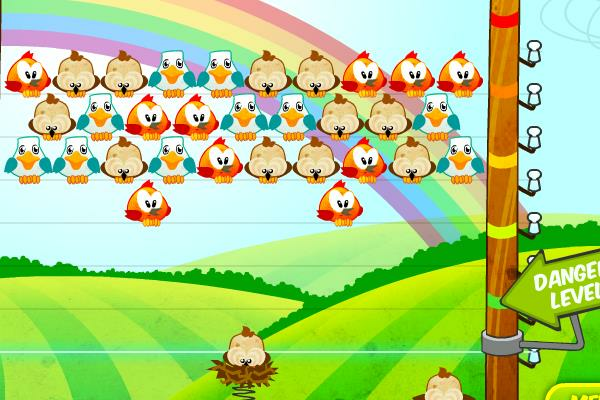 Play Birds On A Wire Game in a Bubble Shooter Style Online. Help the Birds to get off the wire by matching three birds together. Use the mouse to aim and fire. There is a time limit and you have to earn certain score to get to the next level. This is a fun game in a Bubble Shooter style.